City girl turned country girl. I love living my life to the utmost with great friends. For me anything can be a social event from campfires to big events around town, a night in the pub, or a day driving around the country side. I believe in hard work and earning your place, but at the end of the day make sure you're enjoying your life. I moved to Merritt almost 17 years ago, from the GVRD, and haven't looked back. relaxing, living, and loving in this great community has taught me the good things in life. 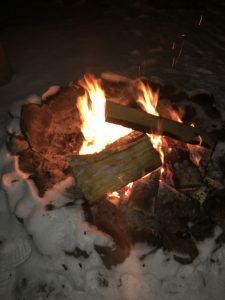 Winter Campfires in the Nicola Valley, B.C.